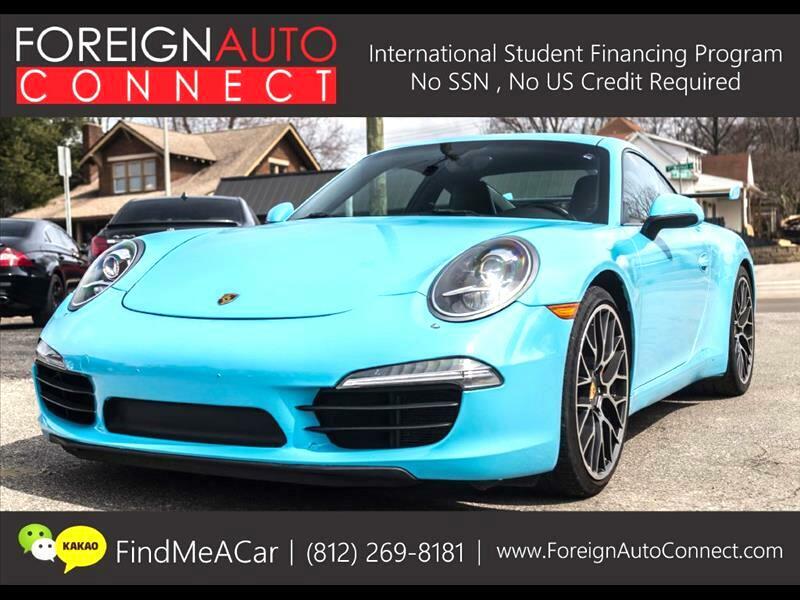 ONE-OF-A-KIND TIFFANY BLUE WRAPPED 2012 PORSCHE 911 CARRERA S! UPGRADED 20'' RS SPYDER WHEELS ($6,000), CARBON FIBER RS WING, PDK PACKAGE, SPORT CHRONO PACKAGE, HEATED SEATS, NAVIGATION, ALCANTARA HEADLINER, BLUETOOTH AUDIO, BOSE PREMIUM SOUND, SPORT PLUS, ADJUSTABLE SPORT SUSPENSION, MICHELLEN TIRES FRONT & REAR, THE CAR IS WRAPPED IN TIFFANY BLUE, THE ORIGINAL COLOR IS GREY, RUNS & DRIVES ABSOLUTELY GREAT WITH NO MECHANICAL ISSUES! NO SERVICE LIGHTS! CAR HAS BEEN INSPECTED BY LOCAL PORSCHE TECH! FRONT TIRES PIRELLI & REAR MICHELLENS! IF REQUESTED, WE CAN TAKE OFF THE WRAP! ORIGINAL COLOR IS DARK GREY METALLIC!